The ornamental varieties (as opposed to those grown for fruit) are adorned with yellow, orange or red fruit which starts showing color in late summer. Once the foliage drops, the low autumn sunlight highlights the glossy fruit beautifully. This show lasts from late summer through midwinter, depending on how many hungry birds or squirrels are nearby! Once the fruit is no longer attractive, the tree’s structure stands out. Many selections have very attractive winter silhouettes and some also have exfoliating bark which adds to the winter interest. They offer several different growth habits. Some have a formal, upright rounded crown, others have an irregular spreading crown, suitable for oriental style gardens and some have a weeping habit. Come spring they put on a show that is not to be rivaled. 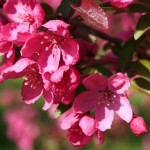 Crabapples are members of the Rose family and exceptional flowers. 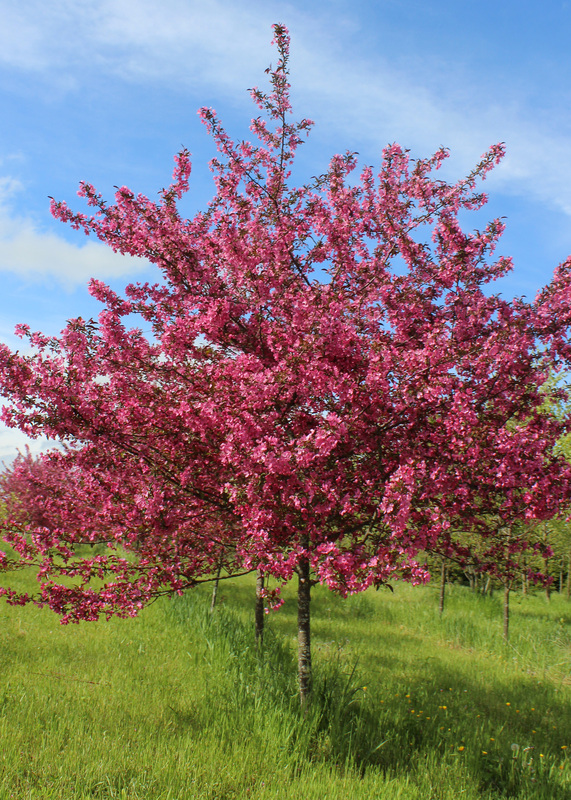 A crabapple in full bloom is the essence of spring. 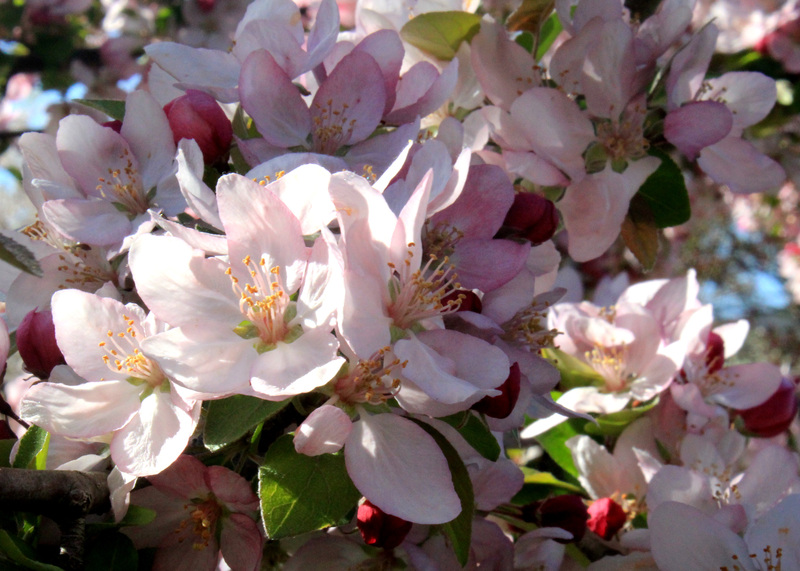 The early Americans originally cultivated Crabapples for their fruit. The fruit was mostly used for culinary uses such as jelly and ciders. It is used today to lend authenticity to garden restoration projects on historical properties. The small size of this tree makes it a good choice to add height in a foundation planting. It seems to fit very well in front of homes with traditional, colonial and Victorian architecture. A massed informal grouping of these creates an unforgettable springtime confection of blooms. 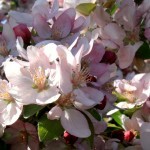 The effect can be especially compelling if they are under planted with tulips or other spring flowering plantings. 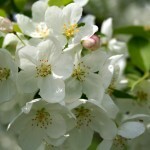 For a formal or romantic style garden, crabapples create spectacular accents planted within a boxwood parterre. 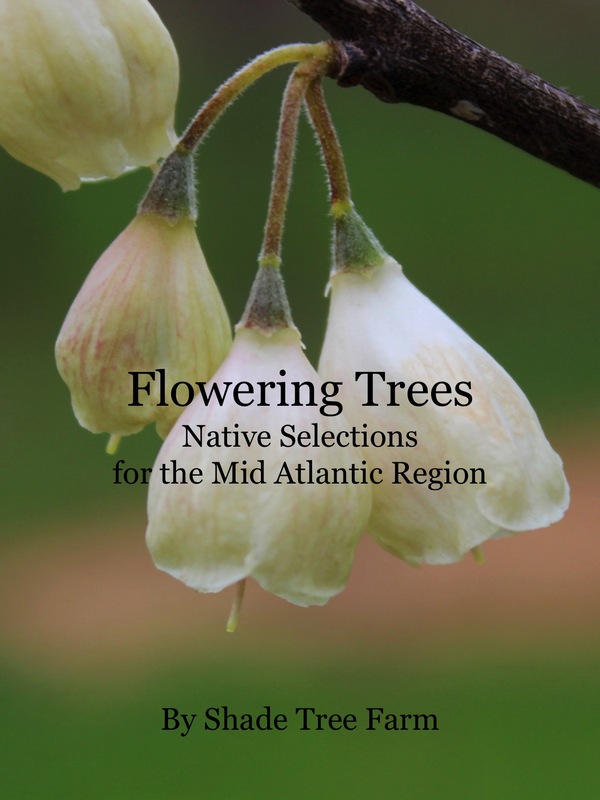 One note of caution: Do not plant a Crabapple if the native Virginia Red Cedar (Juniperus Virginiana) is growing nearby. Crabapples are host for the Cedar Apple Rust, a disease that will disfigure the fruit and foliage. There are hundreds of cultivars developed for various attributes. We grow some of the ornamental disease resistant varieties. 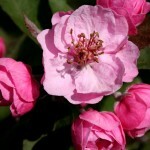 Brandywine – Double fragrant, rosy pink blossoms, vigorous grower that reaches up to 20’ tall and 15’ wide. Large yellow-green fruits almost the size of a golf ball. 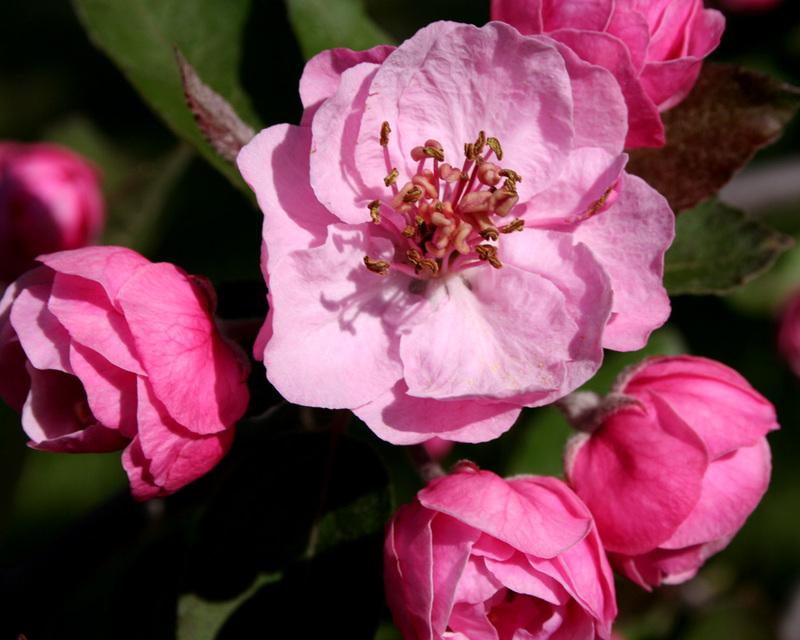 Indian Magic –Dark pink flowers buds which open to a pastel pink blossoms. Glossy red fruit that is cranberry sized. Grows 15 – 20’ tall and wide, with attractive irregular branching habit. 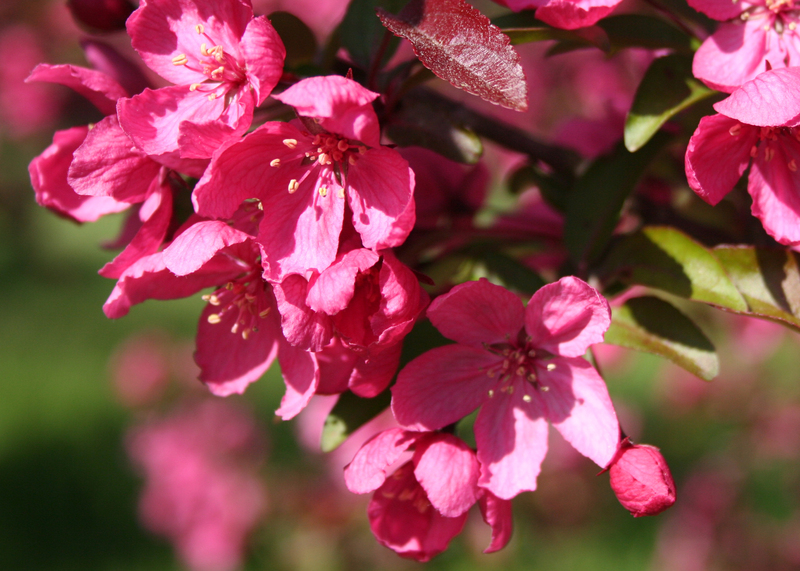 Prairie fire – Blossoms are a rich dark pink opening from dark red flower buds. The fruit is a dark red purple oval shape between 3/8” to ½” in diameter. 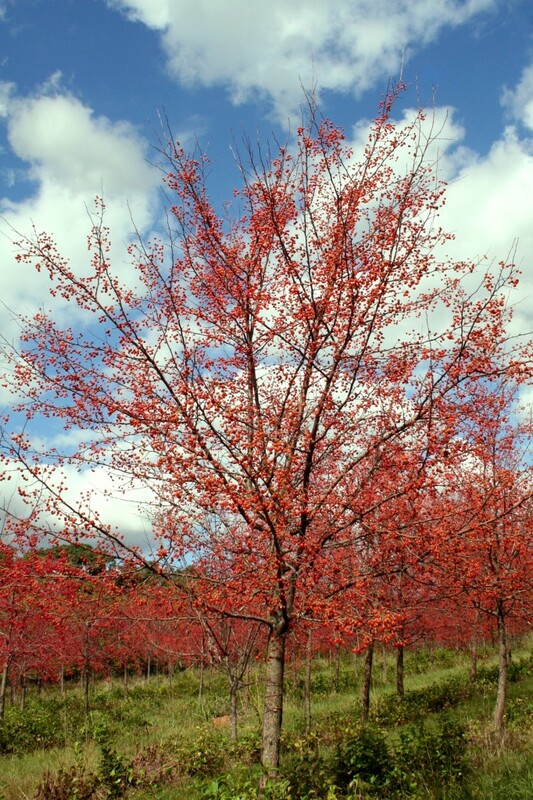 Grows into a rounded tree 20’ tall and wide, the bark is glossy dark red brown in color. The new leaves emerge red-purple in the spring. 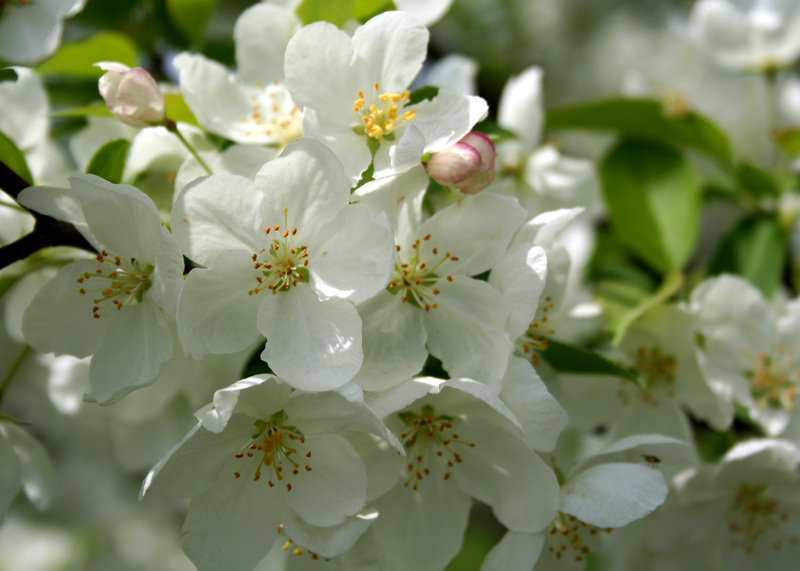 Snowdrift – Flowers are a clear white that open from pink buds. Spectacular flower show every year. The fruit turns a bright orange and pea sized. 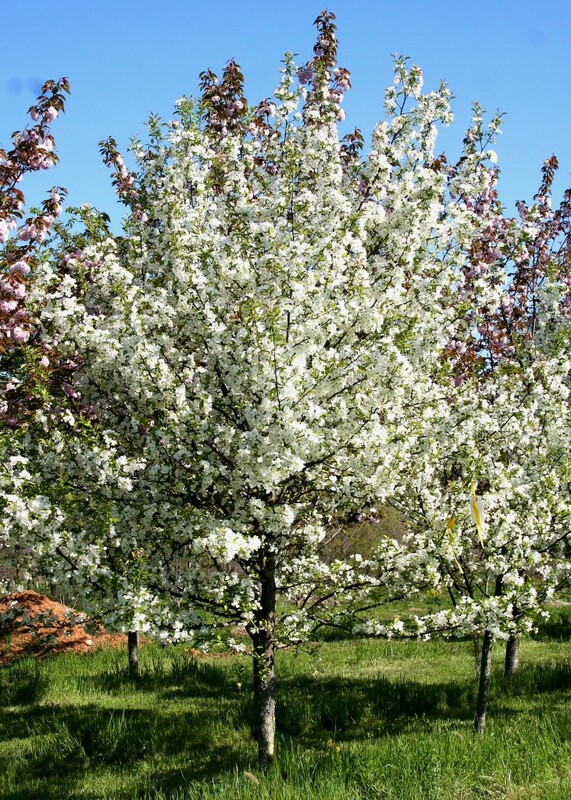 Uniform round shaped tree growing 15 – 20’ tall and wide. The bark is bright silver which exfoliates when the tree is older.